Friday November 9, 2018-Interior Coordination Cabinet Secretary, Fred Matiangi ,has vowed to deal with cartels in the Matatu industry saying they have been holding Kenyans hostages. 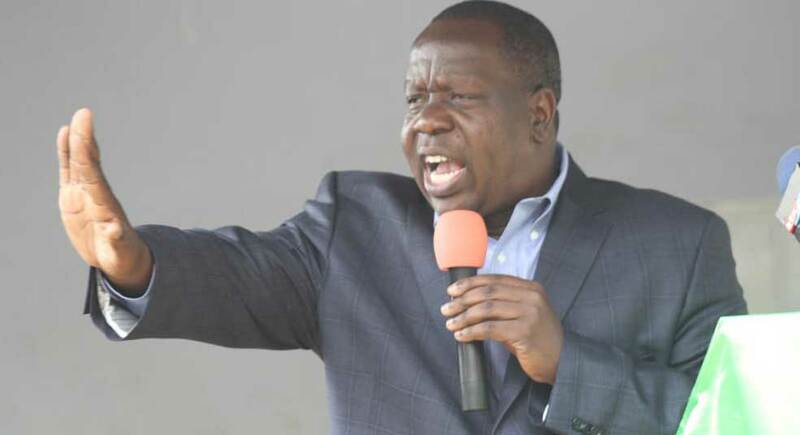 Speaking to the press at the Kenya School of Government on Friday, Matiang'i stated that the undertaking was a tough journey that shall entail a face-off with a cartel that has captured the public sector. “We are dealing with a sector where people have actually decided to be the law themselves. This public transport sector has grown into some sort of a monster,” Matiangi said. "If we do not take firm decisions to restore order, we will surely lose our society. Where else on earth do you buy a vehicle as an investor and you have to pay Sh50, 000 to be admitted to a route!" Matiangi added. He termed the unscrupulous individuals as a cartel that is fearless and tough and hardened enough, they even face the security forces making it difficult for officers to enforce the law. “You have to pay some faceless characters for nothing; there is no contract to show what you will get after paying the fifty thousand. They are people matatu operators would not name. It is happening in most of our urban areas,” he said. Get ém all 'tiang'i and while at it sort out the boda boda menace otherwise they are the next big headache if not already!